Our hours for office staff and student access are 8:40 am - 4:30 pm. Students will not be allowed in the building outside of these times unless supervised by an adult. The first week of school was wonderful, and it was so exciting to meet our new 6th graders and their families. I am looking forward to a wonderful year; we have a lot to look forward to. Attendance matters: Superintendent Grotting has set a goal for all our schools to improve attendance. We spent time this summer looking at data that shows that missing more than 10 school days dramatically impacts student achievement in school and on standardized tests. This affects students across all demographics. 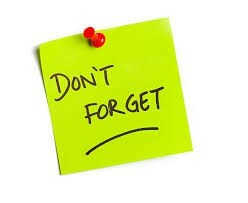 We want to stress the importance that parents schedule vacations during non-student contact days. While that trip to Australia may be cheaper in October, it will make your student's success that much harder. I invite you to read the article and research from the University of Chicago as attached below. Core Plus: Core Plus is the new academic support class for students who need extra help in writing, reading or math. Students are identified to enroll in Core Plus based on several data points: SBAC, grades, teacher recommendation, parent request, etc. Counseling: Our counseling model has changed so that your student's counselor will "follow" her/him throughout their experience at Cedar Park. That also means that parents will get to know their student's counselor from day one and have a more productive relationship throughout the 3 years. Advisory: While Advisory will continue to be mixed grade levels, the teachers have decided to move it to Thursday afternoon and extended the time to 40 minutes. This is a change from two 20-minute morning sessions on Thursday and Friday. The change is a response to student and parent feedback that Advisory was "wasted" time, and our school's need to deliver common curriculum that addresses all our students' needs, as well as honoring our school mission and vision. Your support means everything, and even though we've only officially been in school for a week, our parents and community have been busy helping us for weeks. 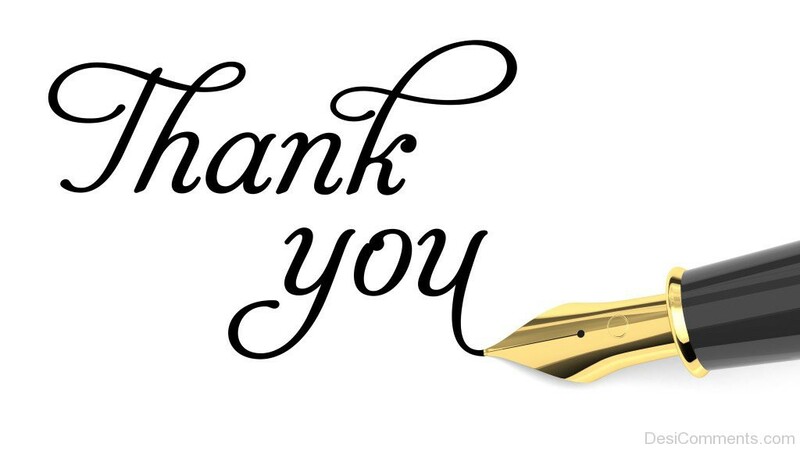 We look forward to working with all of you throughout the year. 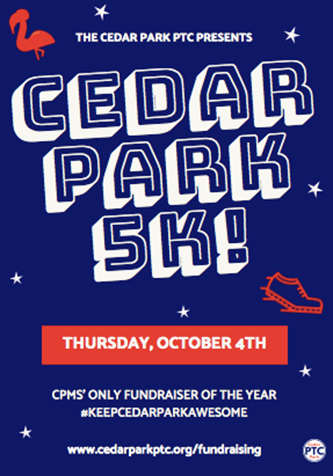 On Friday, Cedar Park Parent Teacher Club (PTC) launched its only major fundraiser all year-- the Cedar Park 5K, scheduled for Thursday, 10/4. Students will be given their 5K packets today during advisory. Ready to get started online? Head to our 5K Firstgiving website, where you can build a simple and secure online fundraising page for your student. All students who have created a Firstgiving online page are automatically entered into our first drawing on September 6th to win a Kingpin bowling party for six. 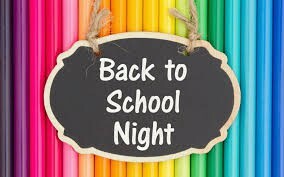 Sept. 13 - Health Preview Night 5:30 p.m.
Sept. 17 - PTC Mixer 7:00 p.m.
Sept. 20 - AVID Family Night 5:30 p.m.
Sept. 20 - Family Fun Night 6:30 p.m.
Oct. 10 - Parent-Teacher Conferences 5:30 p.m. - 8:00 p.m.
Oct. 11 - Parent -Teacher Conferences 8:30 a.m. - 8:00 p.m.
We're changing the format of Back to School Night in an effort to make it more personally relevant for every family. The "Big Show" begins at 6:00 pm, but there are some great learning opportunities for parents beginning at 5:30 pm. We are trying to help meet your needs as parent learners, and it's critically important that you know how to navigate the district technology to best support your student. Students can pick up an information letter from Mrs. Hurd at room A11. $50 deposit is due by Oct. 1st to reserve a spot (max. 40 students and 5 parent Chaperones). Zone 3: Bonny Slope, Cedar Mill, Findley, Ridgewood, Terra Linda, and West Tualatin View elementary schools, Cedar Park Middle School, and Sunset High School High School. Zone 5: Elmonica, McKinley elementary schools, Five Oaks Middle School, Health & Science School, Bridges Academy, Early College PCC, Merlo Station and Hope Chinese Charter School. Zone 6: Cooper Mountain, Hiteon, Nancy Ryles, Scholls Heights and Sexton Mountain elementary schools, Conestoga and Highland Park middle schools and Mountainside High School. Individuals interested in serving on the Budget Committee need to live in the zone they wish to represent. The School Board Zones do not entirely match school attendance areas. Zone maps are available on the District website. Candidates must also meet the following qualifications: be a qualified voter of the District, have lived in the District for one year and cannot be a Beaverton School District employee. The Budget Committee reviews the District’s budget and recommends needed changes. The Committee conducts business in evening public meetings held between November and June. The Budget Committee also approves the Budget Document and forwards it to the School Board for adoption by the end of June. Budget Committee members will be appointed by the School Board. Cedar Park is an authorized Middle Years Programme (MYP) school, which is part of the International Baccalaureate (IB). At Cedar Park, all students are IB/MYP students. 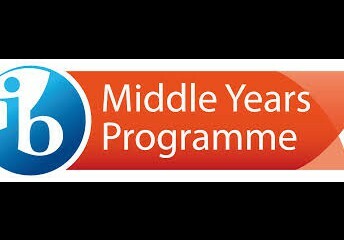 The IB Middle Years Program (MYP) is designed for all students aged 11 to 16. It provides a framework of learning that encourages students to become creative, critical and reflective thinkers. The MYP emphasizes intellectual challenge, encouraging students to make connections between their studies in traditional subjects and the real world. It fosters the development of skills for communication, intercultural understanding and global engagement—essential qualities for young people who are becoming global leaders. The aim of all IB programs is to develop internationally minded people who, recognizing their common humanity and shared guardianship of the planet, help to create a better and more peaceful world. This partly accomplished by focusing on the attributes of the IB Learner Profile. The 10 attributes are: Inquirers, Knowledgeable, Thinkers, Communicators, Principled, Open Minded, Caring, Courageous, Balanced, and Reflective. Cedar Park features a Learner Profile attribute each month. Learner Profile attribute of the month: Inquirer. Inquirers are curious and ask important questions to inquire into the world around them. They explore topics of interest independently and love learning throughout life. Cedar Park is engaged in our second evaluation cycle, which happens every five years. Last spring, we submitted evidence to describe the school’s progress in the Standards and Practices of MYP. The program standards and practices include 3 sections: Philosophy (A), Organization (B), and Curriculum (C). An evaluation team will visit the school for two days (December, 2018), and IB then sends us an evaluation report, which the school will use to refine a five-year Action Plan. Find a good fit: Suggest that your middle grader listen to the morning announcements or check the school website for a list of activities. He/she can ask the coach or advisory for more details about ones they are interested in. Arrange transportation: Set up a carpool with other parents. Or have them find out whether there's a late bus he can ride and schedule. In middle school, your tween is the captain of the ship when it comes to handling homework. He can sail smoothly with these tips. Discuss expectations: Encourage your child to think about what he/she thinks about what they expect from themselves. They might say turning in assignments when they're due and get the habit of looking over math problems to be sure they didn't make careless mistakes. Also, let them know what you expect when it comes to homework. Consider writing down our expectations, such as doing their best to turn assignments in when due. 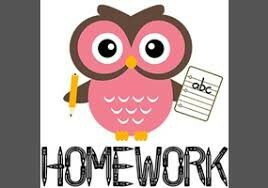 Step back: Have your middle grader decide when to do homework, whether it's after school or after dinner. When it's time for him/her to start, be matter-of-fact. You could say, "Looks like it's time to do homework. 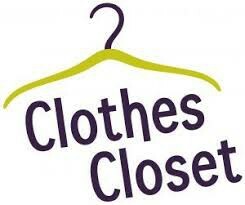 Let me know if you need anything." Then, allow them to work independently. This shows them that you are confident in their abilities and encourages them to take responsibility for their own work. Q Last year, my son asked to stay home when he was tired or "needed a break." I know he has a lot to do-should I let him stay home occasionally? A One of the best ways to help your student have a successful year is to make sure he/she attends school every day form start to finish. Start the year by reading the attendance policy in the school handbook together. That way, you'll both be on the same page about what counts as as acceptable reason for missing school, such as illness or a family emergency. Then if they ask for a "day off", explain that learning is a job. To keep up with new material and participate in class, they need to be there. You can let them know that their days off will come during winter break. Regular attendance at school now will create a habit that they will continue through the years to come and one day, on the job.